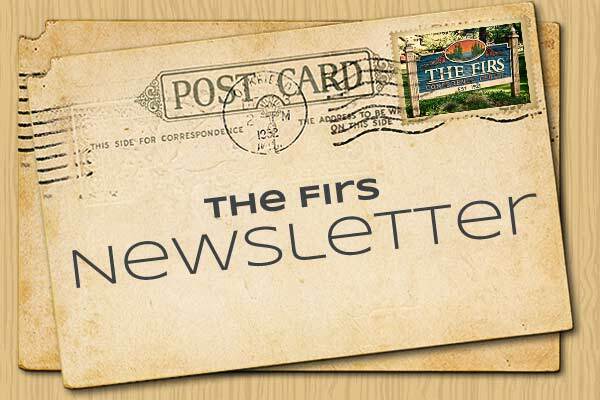 Here, at the end of January, I want to take the opportunity to share with you some exciting prospects that lie ahead at The Firs in the New Year. I have chosen five things to focus on, which I think are representative and reflective of what is happening and where we are going at this place. CENTERSTAGE EXPANSION. I think most all would agree that a great deal of impactful moments take place every week (if not every day) of the summer at Centerstage. For those of you who aren’t as familiar, Centerstage is the outdoor arena where campers gather at Firwood at the close of every day. Here skits take place, our Creator is worshipped and the gospel is proclaimed. In a way, what goes on at this place encapsulates all that takes place in the ministry of Firwood. Well, it is overdue for some improvements. The seats need to be replaced and a good number more need to be added. The sound equipment used for worship needs to be upgraded and better protected. And, who knows, maybe an actual fireplace will even be added (for us old school guys). The hope is to have this project complete by the beginning of camp this summer. CHALET IMPROVEMENTS. The Chalet calendar will be blocked off for June and July this summer in order to get some much needed projects done there. The bathrooms that service the top two floors where our guests live will be completely renovated. With the restrooms on the lower floor already upgraded this will complete that part of our project list. The rooms on the lower level will also go through some serious upgrades that include some sound insulation due to their proximity to our rec area. Thanks to some very generous donations, these projects (and much more to come), are being done as fast as our manpower and our schedule allow. I truly believe that the timing and the scope of these donations are not coincidental. God has some big things in mind for this incredible facility up on the mountain in the months and years to come. THROUGH THE WOODS PRESCHOOL. The next program coming out of our After School Adventure ministry will be an outdoor pre-school. This unique approach to a long standing program is getting a lot of traction in communities across the state and the leadership at ASA are excited about the possibilities. The pre-school will have access to one of our buildings but activities will primarily take place on the west end of our Fircreek woods. Through The Woods Preschool hopes to get started with a morning program this Fall. A NEW TENANT FOR THE FIRS. For the past thirteen years or so, we have leased several of our buildings on the south side of Cable Steet to other organizations – primarily Evergreen Christian School and recently the Discovery School. Both have proven to be good partners and neighbors to our own programs (and good sources of revenue). With the departure of Discovery last summer, we have done two things: captured back most of the buildings for our expanding ASA program and sought another organization to lease the Rutledge Building. Currently, we are just steps away from completing a lease agreement with the Skagit Adult Day Program. They will be running an adult day care program in this building to assist families who are caring for the elderly (mostly parents) in their homes. This is a much needed service in our county. We are looking forward to establishing a good partnership with them in the months to come. NEW LOOK GOLF MARATHON. Our annual Golf Marathon has been a creative and very successful fundraising event for The Firs over the past ten years. This year we are changing it up in order to draw in more golfers and, hopefully, increase its impact on our ministries at The Firs. Golfers will commit, as usual, to spend all day out on the golf course, but this year the emphasis will shift to teams rather than individuals. Our hope is that we will have 12 teams and 48 golfers playing four rounds of golf (each in a different scoring manner) and participate in a Big Prize Putting Contest. This year the event will be held at the North Bellingham Golf Course on Monday, May 20th. Help us get the word out as we need more golfers. You’ll hear more about this over the next couple of months.